This is a perfect side dish for a quick and easy weeknight meal. 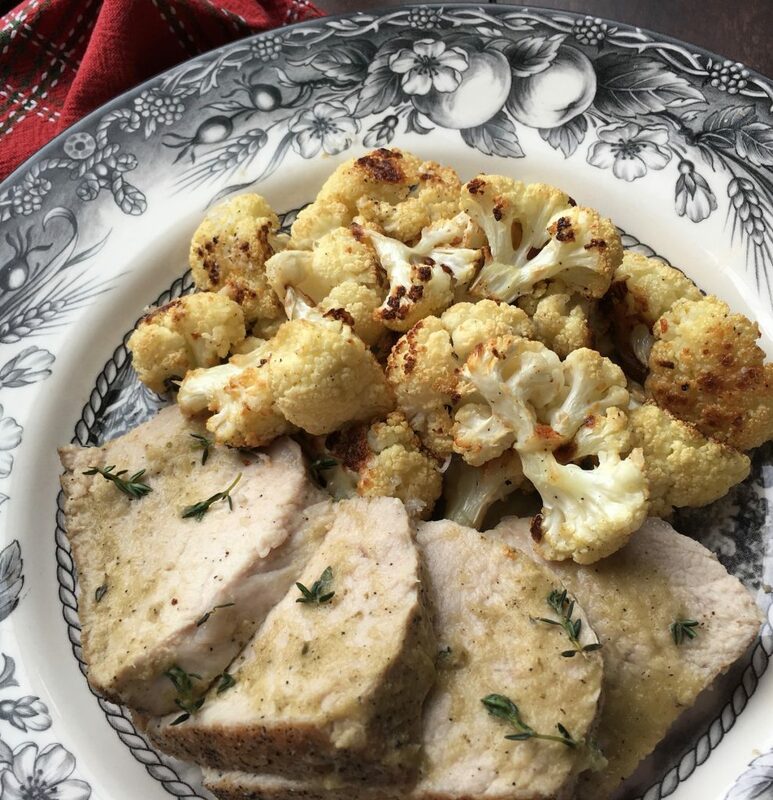 Just toss it all together and pop it in the oven for a flavorful, low carb side that pairs well with everything from poultry to beef and pork roasts. Preheat oven to 450˚F and line a large, rimmed baking sheet with parchment paper. 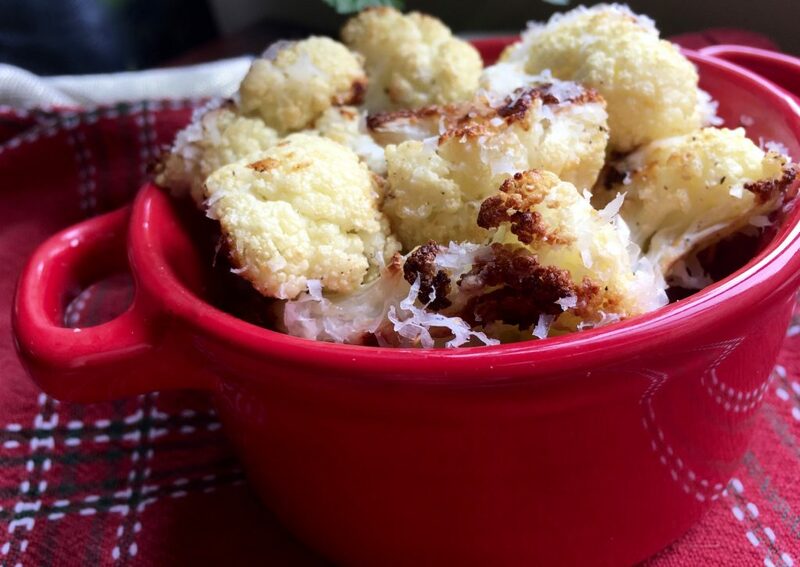 Add cauliflower florets, olive oil, minced garlic, and crushed red pepper flakes to a large bowl and toss to coat. Season with salt and pepper, to taste. 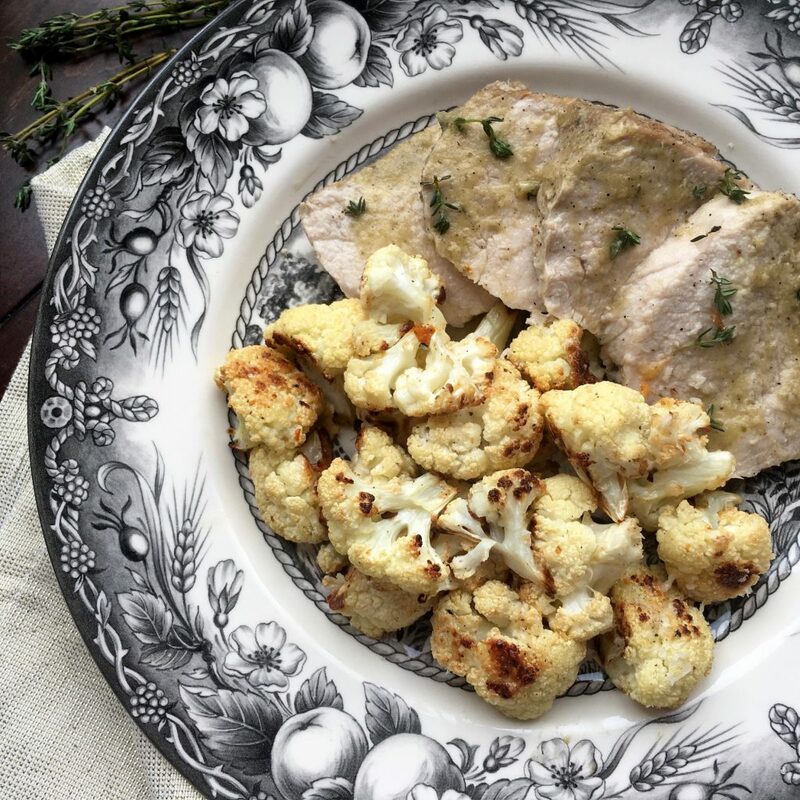 Spread seasoned cauliflower on a prepared baking sheet in a single layer. Roast for 20-25 minutes at 450˚F, stirring once to ensure cauliflower cooks evenly. Remove from oven and set the broiler to high. 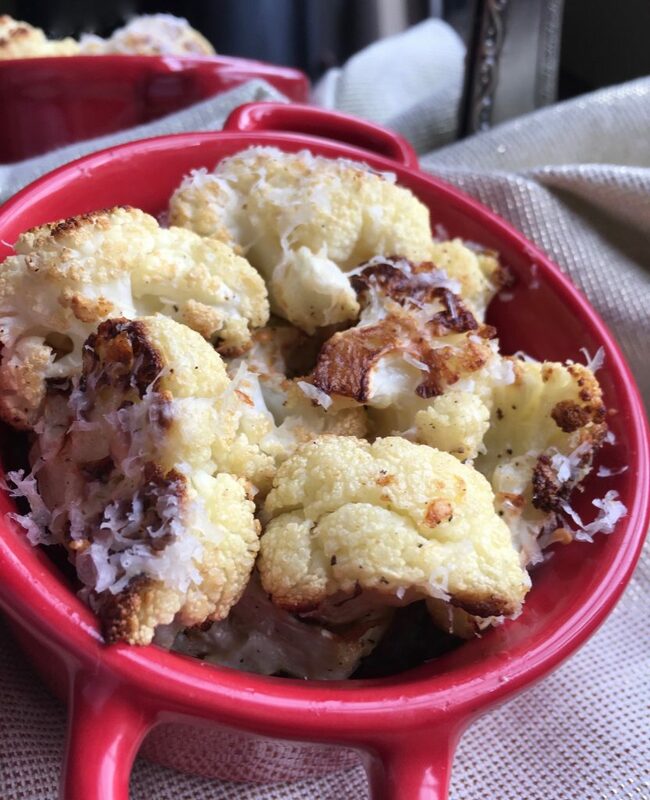 Evenly sprinkle cauliflower with ¼ cup freshly grated Parmesan cheese and place under the broiler until golden brown (approximately 2 minutes). Remove from oven and sprinkle with remaining Parmesan cheese and serve immediately. Copyright © 2019 Retired to Thrive. All Rights Reserved.